The Kiev 35AM is a compact, lightweight, aperture-priority automatic 35mm camera. Very small, hardly any bigger than a packet of sigarettes. It was copied after a Minox camera. 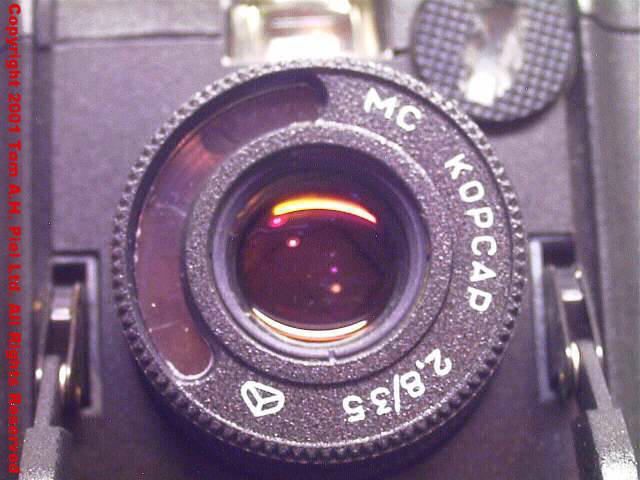 But allthough the Korsar Lens is very sharp and very capable, it is not a great camera. The failure rate of this camera is about 70 to 80 percent. The first roll I ran through it gave 12 exposures on a roll of 24. The other 12 were all black. It has other problems too, meter seems to be stuck and it eats batteries. Keep the batteries in it for about a week and they will be empty. I repaired this camera 3 times now. I repaired the filmadvance, which broke down. I did some work on the shutter which became stuck and now I repaired it for the 3rd time. It works now, but for how long. 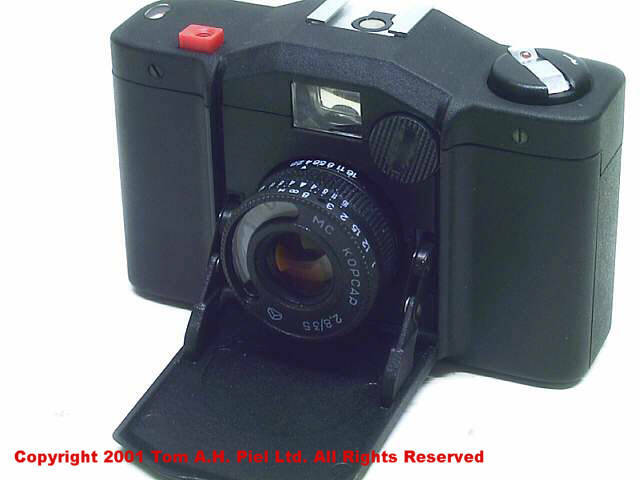 Problems with the Kiev 35a can be the following. If I had to choose one bad camera it would be this one. I wasted 30 dollars on it. Worst buy ever. I can say about the Kiev 35a, Great lens, awfull body. And with a big failurerate like this I'm not likely to buy another one. Pherhaps if I could buy them for 5 dollars a camera, I might. Otherwise, stay clear of this camera, it is the worst one if have seen.